We've got a diverse trio of artist interviews this week, including a feature chat with Marianas Trench's Matt Webb and Mike Ayley. 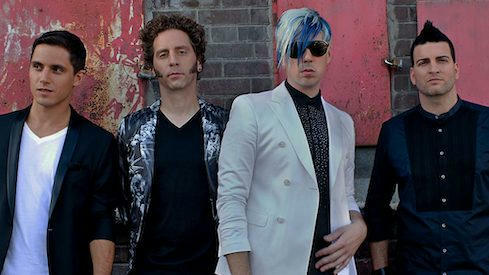 Over the last 12-plus years, Marianas Trench have amassed one of the most diehard fan bases in the country, and their shows have become arena-sized pop rock spectacles based around a unique blend theatricality, pop hooks, charisma, and top-level musicianship. The guys are gearing up for the release of their fifth album, Phantoms, and corresponding Canadian tour. We touch on a wide array of topics like the new album's concept, forming a personal connection with fans, touring now that they have families, bringing frontman Josh Ramsay's musical ideas to life, and more. As well, for those who didn't catch the CM Live sessions on Facebook, we're also sharing Mike's interviews with Alex Cuba and the Good Lovelies from the 2019 edition of Folk Alliance International in Montreal.